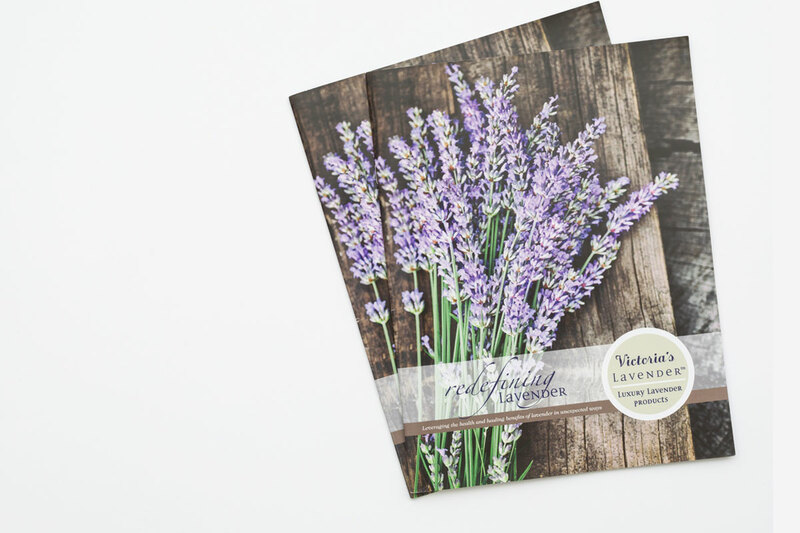 Victoria’s Lavender is one of the premier lavender product manufacturers in the state of Oregon, where lavender is an abundant native plant. 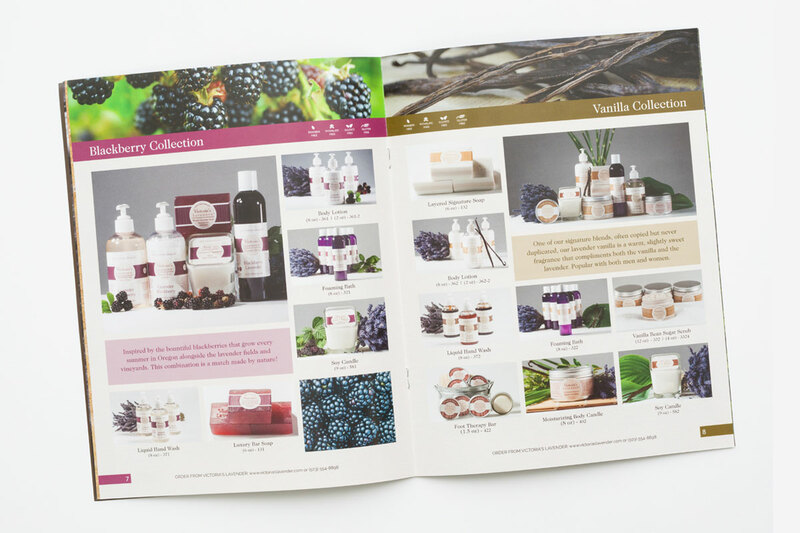 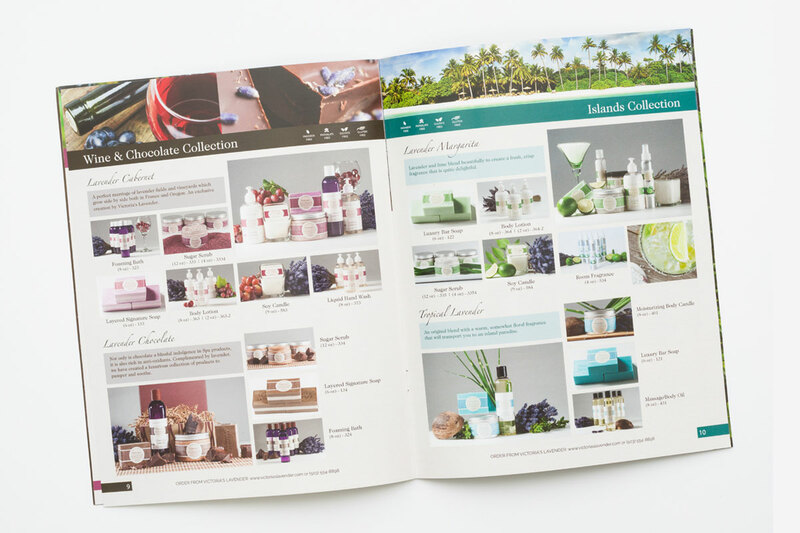 The majority of Victoria’s Lavender’s revenue is generated through mail-order business, and they wanted a catalog that could be used for years to come, to avoid the burden of recurring annual redesign costs. 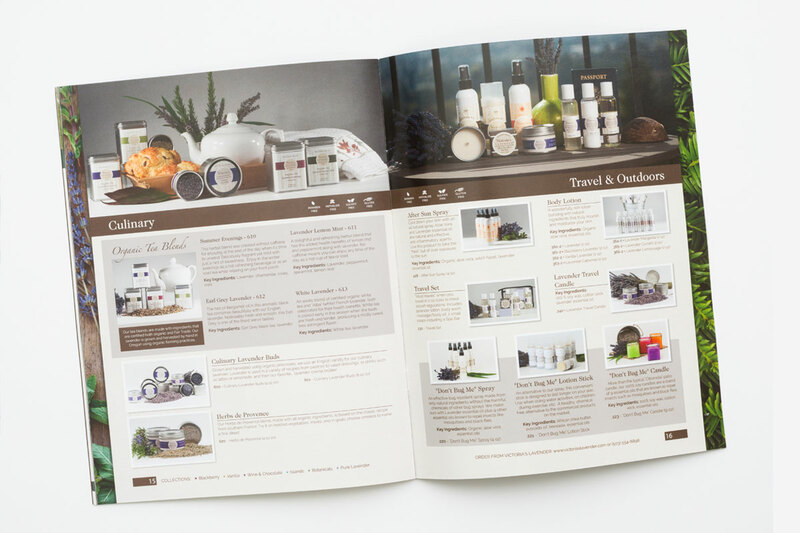 We worked closely with the owner to ensure that the layout and content suited their needs and appealed to their target market. 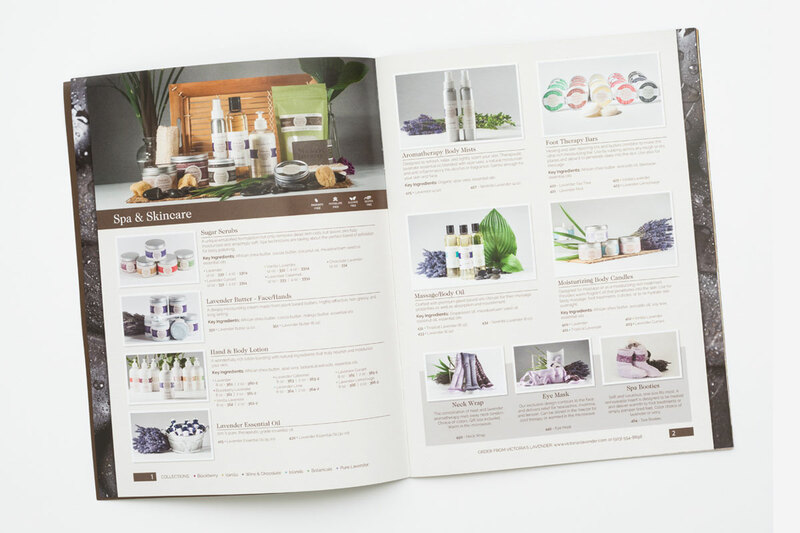 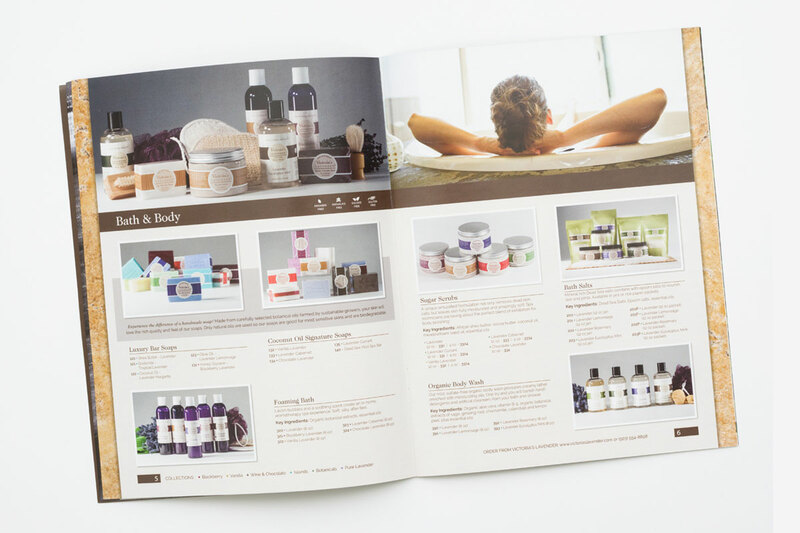 The result is a beautiful, product-focused catalog that showcases the therapeutic and calming essence of lavender.